SURFUSION – What’s The Big Deal? In our first post we briefly discussed SURFUSION, and referred to it as a “kitchen refacer’s dream.” So what’s the big deal and what does it mean for you? If you use cabinet refacing supplies, you’re gonna love this. For years cabinet refacers have had to struggle to find close matches between various types of material. The task of matching melamine, HPL, polyester, edge banding and thermofoil was daunting to say the least. Even when cross reference charts are provided declaring different materials as “matches”, variation in base material, printing technology, top layers and surface texture lead to varying differences in appearance. Since light reflection is so important for color perception, homeowners may approve the match at one angle, but when the job is completed….well….that can be another story altogether. With SURFUSION, we make this headache go away without the use of pharmaceuticals. Our technology includes a system for flat laminating thermofoil to many types of materials including MDF for the backs of the door and drawer fronts, and phenolic for vertical grade laminate. Our membrane press laminates thermofoil to 3D shaped components such as our one piece cabinet doors, raised panels for five piece doors, and various cabinet accessories. Moulders shape MDF into various patterns for our five piece door stile and rail material, as well as our moulding options. Profile wrappers then laminate them with the same thermofoil used on our one piece doors, raised panels, accessories, and laminate options. Now, no matter where the homeowner looks, they’ll see the same material. There is no better match than exact! So if you’re looking for a safe source for cabinet refacing material give us a call. We look forward to hearing from you. Thank you for visiting our new blog, where we will discuss the past, present and what’s on the horizon in rtf cabinet components. 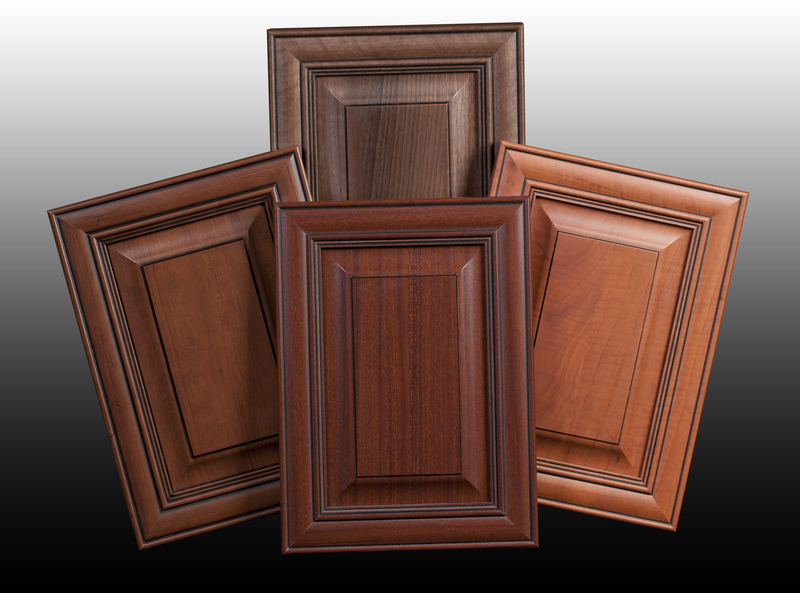 As one of North America’s first thermofoil door manufacturers, Campana Technology offers a wide variety of one piece and 5 piece rtf doors, along with a full offering of accessories and thermofoil laminate options for those involved in the cabinet refacing market. Today, our top selling Vintage series 5 piece thermofoil door has become the flagship of our product line. Combining them with our C-20 and C-50 thermofoil laminate options is what sets Campana Technology apart from all other rtf door manufacturers. We take the most beautiful, realistic wood grain and solid color thermofoils and profile wrap them to our stile and rail material. The back side of the raised panel is flat laminated, and the raised front is membrane pressed, all with the exact same thermofoil. Mitred joints, realistic prints, and the grain running in the “right” direction make these doors truly difficult to distinguish from solid wood. But we take it a step further. The same thermofoil is then processed into two different laminate options; C-20 with a self-stick adhesive, and C-50 with a rigid, phenolic backer. The process of taking thermofoil and making everything you need is something we call SURFUSION. Others just call it a kitchen refacer’s dream. We hope you will visit our site and our blog often as frequent updates will be made. Thanks again for visiting. Our blog is still in progress and will be coming soon! Copyright 2019, Campana Technology. All rights reserved.